Planning your holiday stay-cation? Don't forget about Stevens Lodge as the perfect home base for all winter adventures between Index and Leavenworth. Looking for a fun and affordable place for you and your family to see the holiday lights at Leavenworth? 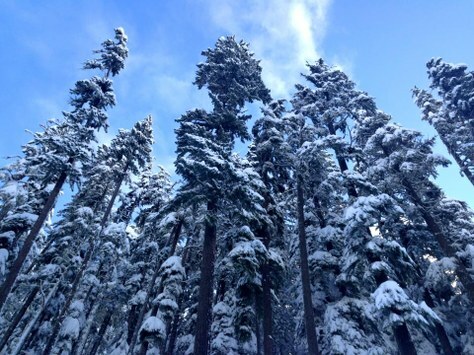 Want a convenient base to enjoy our early Northwest snows for skiing, riding or snowshoeing? The Mountaineers Lodge at Stevens is a great home base for all your winter cascade adventures. We are open each weekend in December (and a three-day weekend Dec 14-17), as well as the week between Christmas and New Year's Day. The Mountaineers member rate for Friday night is only $32 (under 14 only $20) and include breakfast. Saturday/Holiday week rate is $48 (youth $30) and include dinner and breakfast the next morning. Come enjoy a cup of hot cocoa or hot cider next to the fireplace with great company, and the added contentment of knowing how much money you save over staying in a hotel. Book your lodge stay today!